HappyDude88's Classic F1 | The past revisited and the 2012 season in detail! Unfortunately due to a lack of time, I will be unable to continue updating this website with coverage of the 2012 Formula One season. This is because I took an online internship on approximately three weeks ago and it has taken up a lot/all of my time. During the race weekend in Canada, I realised it was going to be incredibly difficult to continue updating on a regular basis. However, I will keep the website online and keep checking the years pages, as I gradually will add classic race reports stored on my laptop to the site. FORMULA One takes a brief break from Europe for its first visit to North America this weekend and the Canadian Grand Prix doesn’t do dull! 33 years of glorious action at Montreal, with its first event being an emotional success for Ferrari’s Gilles Villeneuve in 1978 on home soil. The circuit has changed on occasion, the weather can be unpredictable and strange things seem to happen here more often than not, such as regular scrapes with the infamous Wall of Champions at the last chicane and the pitlane red light. The sport didn’t visit Canada in 1987 or 2009 but its popularity with the teams and drivers mean a great atmosphere is always created between the fans and everyone associated in the paddock. In 1991, Nigel Mansell looked set to secure a dominant victory, having led throughout until he suddenly slowed entering the hairpin on the final lap. The Brit’s engine died and he beat the steering wheel in frustration as his Williams crawled to a halt. Mansell had prematurely started waving to the crowd as he began the last lap and had accidentally dropped his engine revs which ultimately caused the problem. Nelson Piquet came through to take a fortunate win for Benetton. It was the great Brazilian’s last ever triumph in F1 and Pirelli’s last as a tyre supplier until their re-entry into the sport at the start of 2011. Four years later, Michael Schumacher had a similar advantage in his Benetton Renault when a gearbox gremlin left him coasting back to the pits for a new steering wheel with 12 laps to go. The change cost him a certain victory but what it did do was open the path up for Jean Alesi to take his first and only win at his 91st attempt. It was the Frenchman’s birthday and what made it even more special, he was driving Ferrari n0.27, the exact number Villeneuve had when he won in 1978. Gilles’s son Jacques came into the sport the following year but success went onto elude him at the circuit named after his late and daring dad. A close second place finish to Damon Hill at his first attempt in 1996 was to be his best result at Montreal. He had a string of accidents and mechanical gremlins that always got in the way of a special success. Schumacher won his second Canadian Grand Prix out of seven in 1997, although it was lucky as a precautionary tyre stop for David Coulthard went wrong. The McLaren’s clutch overheated and he stalled twice in the pits, losing an eternity of time. The race was cut short as Olivier Panis suffered a front suspension failure on his Prost through the turn five/six complex. Panis hit the concrete wall on the outside, before hurtling into the tyre barriers on the inside, with his car failing to deceleration in speed. The Frenchman broke both of his legs and his Formula One career that was full of promise, never really recovered. F1 history was created at the Ille Notre Dame in 1999 as it was the first event to end behind the Safety Car. This was after Heinz-Harald Frentzen needed medical attention following a big crash when his front brake disc exploded on his Jordan with just four laps to go. Mika Hakkinen won the race, which was full of drama and earnt the ‘Wall of Champions’ tag in the process. Reigning FIA Sportscar champion Ricardo Zonta and three former F1 champions, Damon Hill, Michael Schumacher and Jacques Villeneuve all crashed out at exactly the same point. Giancarlo Fisichella finished second that day, during an excellent run of four successive podiums in Canada. 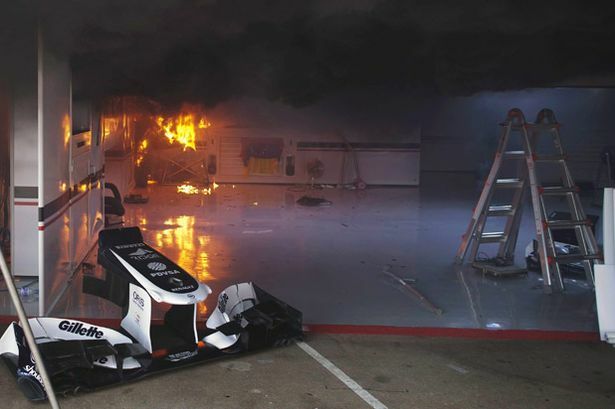 In 2005, the Renault team pressed the self-destruct button. Looking set for a 1-2, they kept the slower Fisichella ahead of an animated and frustrated Fernando Alonso. Alonso eventually was told ‘you’re faster than him, overtake him.’ Seconds later, a loss of hydraulic fluid ended Fisichella’s afternoon. Alonso joined him on the sidelines when he hit the wall only a few laps later. A Safety Car to clear up Jenson Button’s crashed BAR caused a miscommunication at McLaren between the pitwall and race leader Juan Pablo Montoya. Montoya missed his chance to pit and when he did come in after a slow lap behind the pace car, he exited the pits with the red light still on. That’s a no-no and the Colombian was promptly disqualified, enabling Kimi Raikkonen to win. Montoya hasn’t been the only driver to be caught out by a red light on the exit of the pitlane. Two years later, Felipe Massa and Fisichella committed the same offence and got the same penalty of exclusion from the event. In 2008, Lewis Hamilton misjudged the red light still being on and crashed into the back of Kimi Raikkonen at the pitlane exit, taking both drivers out. This came a year after Hamilton’s sensational first victory in F1, on a day when so much happened. Takuma Sato’s Super Aguri even passed Alonso’s McLaren! In 07, the Polish driver Robert Kubica came so close to losing his life at the track after an aeroplane shunt with the Toyota of Jarno Trulli. His car was destroyed but he walked away relatively unscathed. In 2008 – Kubica benefited from the Hamilton/Raikkonen crash to record his sole Formula One victory for BMW Sauber. Last year’s race was the longest ever in the sport and was simply extraordinary. Jenson Button survived scrapes with Lewis Hamilton and Fernando Alonso, made six pitstops and was 21st and last on lap 41. Incredibly he won, pressuring Sebastian Vettel into a rare mistake on the last lap to clinch a stunning victory. After last year’s drama, anything is possible especially given the unpredictability we’ve seen so far in 2012. 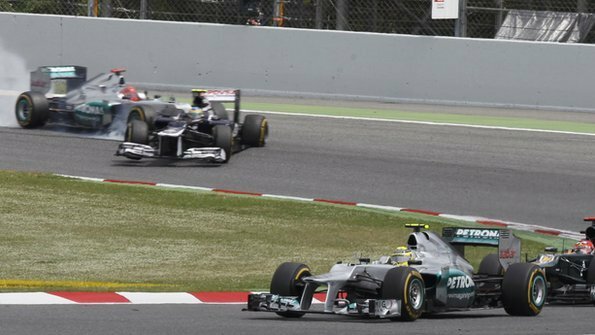 THE 2012 FIA Formula One World Championship continues to break records and now, we have had a situation of six different winners in the first six races for the first time ever. Mark Webber stayed cool under intense pressure from Nico Rosberg and Fernando Alonso to register his eighth career victory today and his second around the streets of Monte Carlo. Webber also had to deal with a late rain shower in the principality, plus the tyre management concensus in a race that promised much but largely, failed to deliver on 2012’s high expectations. Alonso’s third place means he heads to Canada as the narrow championship leader, three points clear of Red Bull pair, Sebastian Vettel and Webber. There was drama just seconds after the lights went out, with three drivers eliminated before the first lap was completed. Romain Grosjean’s Lotus was clipped by Michael Schumacher on the rundown to Ste. Devote and the Frenchman spun his car backwards before the first apex, sending cars in all directions to try and avoid his stricken chassis. The trigger for the messy shunt was a bad start from both Grosjean and Lewis Hamilton on the second row of the grid and excellent starts from the two Ferrari drivers, Alonso and Felipe Massa. As Alonso moved across to give his team-mate some space, he and Grosjean banged wheels and with Schumacher pinned up against the guardrail, contact was inevitable. 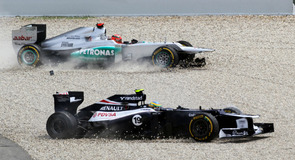 In the melee, Kamui Kobayashi was launched into the air and down the escape road, taking Jenson Button with him. 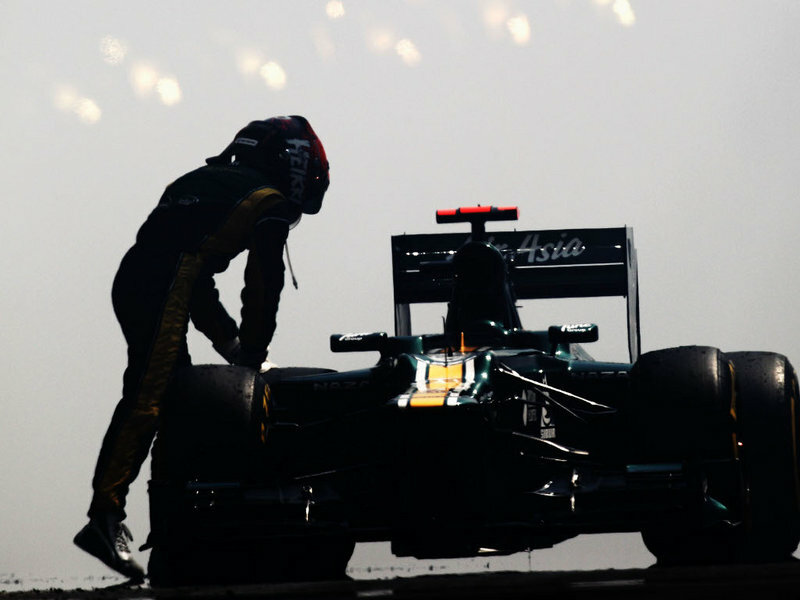 Kobayashi’s suspension was wrecked and he retired five laps later. Joining him and Grosjean on the sidelines were Pedro de la Rosa’s Hispania and Spanish Grand Prix winner Pastor Maldonado. Maldonado completed his nightmare weekend by whalloping de la Rosa’s rear wing off. It was lucky the Spaniard didn’t lose anything else. The Safety Car was deployed with the order settling down as Webber, Rosberg, Hamilton, Alonso, Massa and Vettel. When racing resumed, Kimi Raikkonen started to form a train of cars behind him as he struggled with a severe lack of rear tyre grip. The Lotus team tried to keep him out, in the hope of a looming rain shower which never arrived. On lap 30, Rosberg was the first of the frontrunners to pit for the soft tyre. The rest had to respond and Alonso went a lap longer than most, enough to jump him past a frustrated Hamilton. Having begun on the soft tyre, Vettel inherited the lead and as the others struggled to get heat into their new rubber on an overcast day, the champion built up a healthy advantage, threatening to jump from sixth to a merited lead in the process. His tyres managed 45 laps before starting to lose grip and the quickest pitstop of the day from Red Bull got him out just ahead of Hamilton. With DRS utterly useless around here, overtaking was a premium and despite stages in the race when only five seconds covered the top six, it was a case of follow the leader and hope for a mistake. All the top drivers drove pheonemally and nerves were only increased when a shower in the last six laps made Tabac and Casino Square corners more tricky. Toro Rosso took a gamble and pulled Jean-Eric Vergne in for intermediate tyres but the rain stopped and he lost a certain seventh place. Rosberg earnt his best finish in Monaco and Alonso seemed happy to record another podium, closely chased home by Vettel. This was also the closest top four finish ever in Monaco. Hamilton kept his consistency up with fifth, on a day when McLaren looked seriously uncompetitive. Felipe Massa’s sixth place was a fair reward for a storming weekend where he matched Alonso throughout. The Force India team benefited from midfield problems to finish seventh and eighth with Paul di Resta and Nico Hulkenberg. 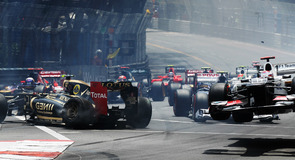 Raikkonen fought back to ninth, after a lacklustre weekend and the final point went to Bruno Senna for Williams. Ultimately the Monaco Grand Prix turned into a disappointing spectacle and wasn’t the classic we all hoped it would be. However, Mark Webber has thrown another name into the mix for the world championship after a convincing display of quality and class. F1 now heads to Canada in a fortnight’s time and after last year’s thriller, who knows what will happen in North America. THERE is life in the veteran yet as Michael Schumacher rolled back the years in qualifying this afternoon for tomorrow’s Monaco Grand Prix. In an unpredictable and cracking session, the 42-year old German ended as the fastest driver and in normal circumstances, would be celebrating his first pole position since the 2006 French Grand Prix. However, a five place penalty for causing a collision with Bruno Senna at the Spanish Grand Prix means it is only a moment of glory. 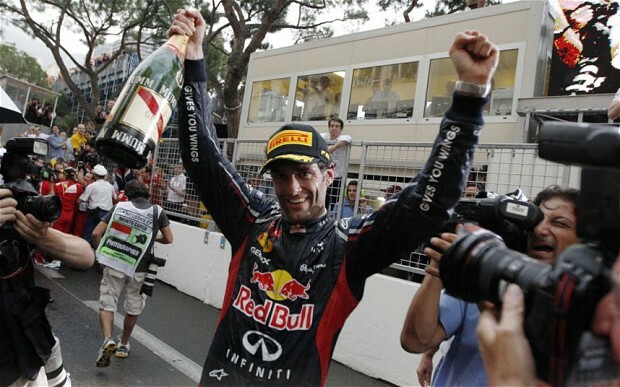 Consequently it will be the 2010 winner in Monaco, Mark Webber who will start from pole position. The day started quietly but burst into life with a dramatic final 15 minutes in FP3. Paul di Resta damaged his front wing against the guardrail exiting the tunnel, whilst Sergio Perez was baulked in a dangerous position by Nico Hulkenberg’s dithering Force India. The Mexican, returning to the venue of his terrifying crash in qualifying last year was in the thick of the action today. 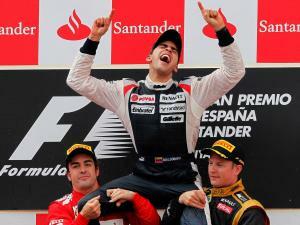 He was involved in another incident with Spanish GP winner Pastor Maldonado, for which he was totally blameless. Out of the way in the Portier complex, Maldonado deliberately turned in and connected with the Sauber, leaving Perez furious. 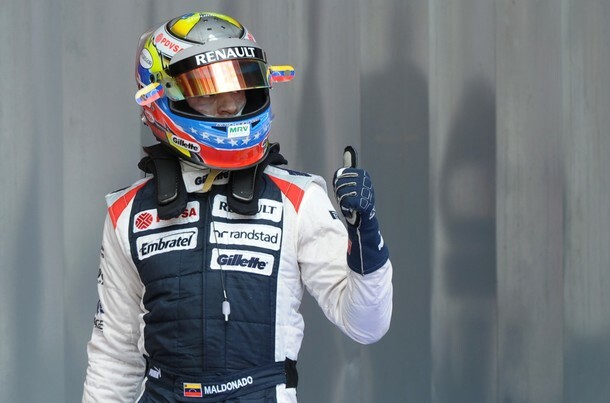 The stewards agreed with the Venezuelan’s ridiculous driving and slapped him with a ten place grid penalty. Maldonado then went on to dismantle his Williams at Casino Square shortly afterwards, giving his mechanics a real headache ahead of qualifying. The drama wasn’t all over for Perez when he clouted the barriers in the Swimming Pool chicane five minutes into Q1. It initially looked like a simple driving mistake but BBC commentator David Coulthard spotted damage to the Sauber’s front steering, with the left-front tyre not responding to Perez’s steering movements from inside the cockpit. Perez was out in Q1 and required a trip to the medical centre as a precautionary measure. If the damage was caused by his earlier clash with Maldonado, no doubt the bill will be going to Maldonado’s bank manager! After the first set of runs in Q3, it was the fastest driver this morning, Nico Rosberg top of the timesheets, followed by Romain Grosjean. Webber managed to string together a lap with all three sectors to record a laptime of 1.14.381, less than a tenth quicker than Rosberg. Grosjean and Lotus struggled to get tyre temperature into both sets of Pirelli compounds today and leaves him back in fifth, still a good effort. Kimi Raikkonen only just escaped Q1 and was a distant eighth in the final session. Ferrari took a cautious approach to qualifying, with both Fernando Alonso and Felipe Massa only doing one run in the final session. The rejuvenated Massa set the benchmark in Q2 and starts seventh, easily his best performance of 2012 so far. Alonso was just over a tenth faster and two places better off. Qualifying turned out to be an intense and storming session and the race could turn into another special. As many as eight drivers could count themselves to be serious contenders for the victory and over 78 laps, with unpredictable weather forecast and a high chance of Safety Cars, who knows what might happen tomorrow. AS IN Barcelona two weeks ago, it was Fernando Alonso and Jenson Button who shared the spoils of ending up fastest in the first two practice sessions for a Grand Prix. Alonso set the pace for Ferrari by nearly half a second in FP1 and Button managed to squeeze in a run on the super soft tyre in the afternoon session on a disjointed opening day of the Monaco Grand Prix meeting. Sunday’s race is likely to be decided by qualifying positions and once again, durability of the Pirelli tyre compound and little was given away today. Hamilton was impressed by Lotus and it looked like the Enstone team have the most consistent and best handling car so far around the Princiapality. Romain Grosjean put in a string of fastest laps together in the first practice session and ended an impressive second in both sessions. Grosjean has a good record from his GP2 days and has to be considered as a contender, providing he keeps it clean for the rest of the weekend. He said afterwards to BBC Sport; “I like Monaco. I like the track; it’s good fun. The car is going well at the moment and let’s see what we can do later on. It is important to have a car you are confident with.” Team-mate Kimi Raikkonen had a very frustrating day, failing to set a time in the first session after the team made a steering rack adjustment in the pits that didn’t go to plan. With just an installation lap under his belt, the rain wrecked Raikkonen’s hopes in FP2 and he is now playing catch-up going into Saturday’s sessions. There was only 20 minutes of dry running in FP2 and Button had the time to see how the super soft tyre would work. Trailing by 16 points in the championship, Jenson will be keen to make up for a difficult time in both Bahrain and Spain and his afternoon time of 1.15.746 was the fastest of the day. Only the Sauber drivers and Pastor Maldonado managed time on the super soft tyre before the heavens opened in the afternoon and none of those three looked to have the pace Button did on a single lap. World champions Red Bull continue to be a mystery as neither Sebastian Vettel or Mark Webber looked like challenging the top times. Seventh for Webber in FP2 was their best effort today and if the Milton Keynes team isn’t lucky, they could be looking at another mediocre weekend. As ever, Monaco caught many drivers out with Mirabeau being a real handful in the damp conditions. Massa, Sergio Perez and both Williams drivers were caught out, although none hit the barriers. The Nouvelle chicane saw many cars cut part of it off as they tested the braking limits of their cars; Narain Karthikeyan being a notable offender for HRT. The first session was also brought to an unscheduled early end when Heikki Kovalainen’s Caterham Renault engine blew up spectacularly in the tunnel, dumping contents of oil and coming to a halt on the tunnel exit. It was a day where little could be judged on prestigious pace and only in FP3 should it remain dry can we begin to see who are the genuine contenders for pole position in qualifying. The next driver on the list is JJ Lehto, who had some natural speed but lacked luck, consistency and has fallen on hard times especially since his F1 career ended. THE Finns have produced three Formula One world champions in Keke Rosberg, Mika Hakkinen and Kimi Raikkonen. JJ Lehto was another Scandinavian who seemed to have been born with natural speed but luck and injury seemed to be against him. Lehto won junior formula titles in Britain and Scandinavia but struggled in the international Formula 3000 series in 1989 racing for Pacific. Fourth place at the event in Pau was the only highlight. 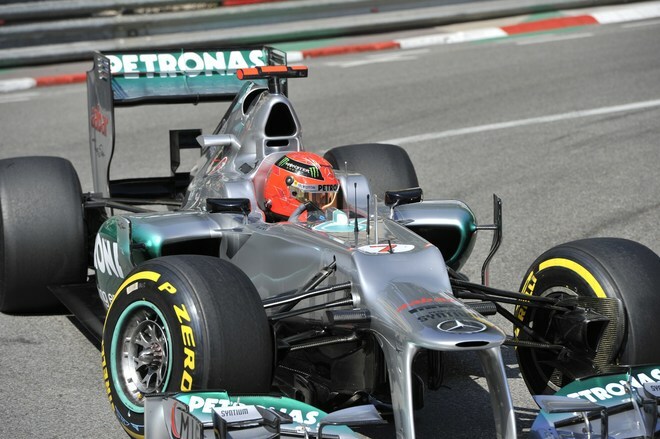 However Lehto was in Formula One by the end of the season, competing for the Onyx team. He took over from Bertrand Gachot but failed to pre-qualify for his first event in Portugal and didn’t make much of an impression in the other events. He stayed on for 1990 but by now, the team were in dire financial difficulties. He recorded only one finish, 12th at the San Marino Grand Prix as both he and Gregor Foitek always struggled to get out of pre-qualifying. The team folded shortly after the Hungarian race and it left JJ out of a drive and at this time, a danger he might be quickly forgotten about. A test for Ferrari though before his Onyx days came back to him when he signed up to drive for the Scuderia Italia or Dallara team as they better known. The close links between the two at the time helping with Lehto being signed up alongside Emanuele Pirro. Once again, finishes were at a premium thanks to poor reliability but out of the five times he got to the chequered flag, there was a memorable result at Imola. In mixed conditions, he kept his cool to record a shock podium finish where others fell off the road. He stayed on with Dallara for 1992, with Pirro replaced by Pierluigi Martini. Sadly, there were no points but more a more reliable car and some creditable qualifying performances. Seventh at Spa was his best result. Dallara went bust and Lehto was a free agent again. The new Sauber team snapped him up for 1993 and this was his most consistent and best season. He qualified sixth on the team’s debut in Kyalami and finished fifth in wet conditions. Another fourth place followed at Imola although he didn’t get along well with Karl Wendlinger, his team-mate. Crashing into him on the first lap in Monte Carlo didn’t help relations. As the season drifted towards its end, he got involved in more incidents with other drivers and Sauber decided not to renew his contract. Flavio Briatore noticed something and put him into the Benetton team alongside Michael Schumacher for 1994. Luck deserted him when he sustained a serious neck injury thanks to a testing crash at Silverstone. He was forced to sit out for the first two races and returned at Imola. Still struggling with his neck injury, JJ’s qualifying effort of fifth was excellent. However he was seriously affected by the deaths of Ayrton Senna and Roland Ratzenberger and he had his own lucky escape on raceday when he stalled his car and was ploughed into by Pedro Lamy in the Lotus. He lost a certain third place in Barcelona thanks to a late engine failure and raced well to a point in Canada but injury and a loss of confidence saw him rested by Briatore in favour of test driver Jos Verstappen. He returned to Benetton for two races when Schumacher was banned by the FIA for the black flag infringement but struggled still and a final shot at Sauber in the final two races didn’t work out. Looking tired and confused after a traumatic campaign, Lehto was finished in F1. He moved into sportscars afterwards and actually won the Le Mans 24 Hours twice, for McLaren in 1995 and Audi in 2005. He was an expert commentator on Formula One for Finnish Television and there was an unsuccessful season in CART in 1998 and he has fallen on tough times in recent years. In June 2010, Lehto was involved in a boating accident in Finland, killing a passenger and leaving the Finn with injuries. He faced charges of reckless driving and driving under the influence of alcohol at the time of the accident. Last December, JJ Lehto was sentenced to two years in jail, found guilty on two charges of homicide and drunk driving of a boat. He denied all the charges and has served intention to appeal. NEXT TIME ON THE DRIVER FILES: One of the most experienced drivers on the Grand Prix grid, Riccardo Patrese. The next driver featured is the Dane who came with big potential and left with relatively little to show for his efforts midway through 1998, Jan Magnussen. NOW 38 years old, Jan Magnussen was one of Denmark’s highest hopes but in Formula One, it all went badly wrong. This isn’t to say that he wasn’t a bad driver, sometimes things don’t go according to form and plan. A real shame for a driver who threatened great things in his junior career. Magnussen came into Formula One with a huge reputation, especially after dismantling the competition in the 1994 British Formula 3 Championship. Competing for Paul Stewart Racing, he beat Ayrton Senna’s record of 13 wins in a season. Once he won the second event at Donington Park in April 1994, the title trophy might as well been awarded to him. Jan won six of the first eight races and ended up with a final total of 14 wins from 18 starts. Magnussen ended with a total of 308 points, a massive 125 points clear of his nearest challenger, which was Belgian Vincent Radermacker. 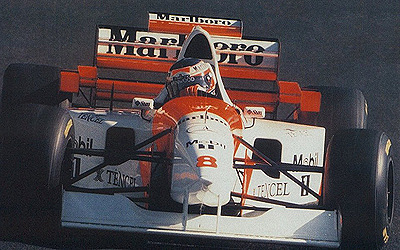 Magnussen did some testing for McLaren in 1995 and when regular driver Mika Hakkinen went down with appendicitis, Magnussen was drafted into the team for the Pacific Grand Prix in 1995. He actually did fairly well, having a good dice with Rubens Barrichello’s Jordan throughout and finished a creditable tenth, just behind team-mate Mark Blundell. After some touring car racing in 1996, Jan got his big break with the new Stewart Grand Prix team. Having raced in Paul Stewart’s F3 team, he was seen the perfect fit to partner the experienced and versatile Barrichello in 1997. The season was always going to be a learning experience and Magnussen’s confidence took a severe hit. No points in 17 races and not many finishes either, as the Ford engine often tended to blow up rather than survive to the chequered flag. Seventh in the wet Monaco Grand Prix was his best result and ninth at the season finale in Jerez was a solid effort, having raced the Benetton’s and Olivier Panis in the Prost for most of the event. The Dane’s best race came at the A1-Ring, where he qualified an excellent sixth and ran as high as fourth, ahead of Heinz-Harald Frentzen and David Coulthard amongst others. Magnussen slipped to tenth after the team put him on the wrong pit strategy and a broken driveshaft eventually ended his race. 1998 started even worse, when he took himself and Ralf Schumacher off on the third lap in Melbourne. He was miles behind Barrichello in the same car, qualifying slowest in Argentina, 21st at Imola and 20th in Barcelona. Stories about his future continued to put Magnussen under pressure, so crashing into Barrichello at the first corner at Imola didn’t help matters. By the time of the seventh event in 1998, Magnussen had to deliver a brilliant performance and another dismal qualifying effort in Montreal, again in 20th left him fighting against a huge tidalwave. His race was highly impressive, running fourth and keeping a consistent pace throughout. Although he got some luck in the amount of retirements in Canada, he scored a championship point in sixth. Sadly the damage had already been done and Jackie Stewart replaced him with Dutchman Jos Verstappen for the rest of the season. Since his F1 rejection, Magnussen has turned into an almost complete motorsport competitor. He has raced in CART, Danish Touring Cars and more predominately in sportscars. At Le Mans every year since 1999, his best finish at La Sarthe has been fourth in 2003 and 2006. Sir Jackie Stewart once said Jan Magnussen was the greatest young talent since the early days of Ayrton Senna. Sadly his Formula One experience turned into a forgettable, rather than a memorable time. NEXT TIME ON THE DRIVER FILES: Flying Finn JJ Lehto, who has fallen on hard times of late but had spectacular natural speed.